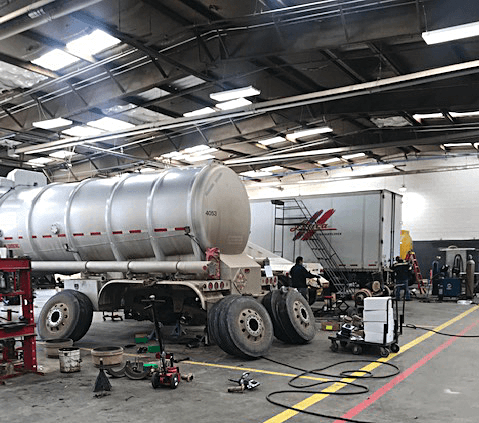 Oklahoma City-based City Trailer and Paint Works, a leading tank-truck sales and service business with an impressive history of growth in America’s heartland, is looking to its collision center and unique parking program to create even greater expansion. A family owned company established in 2001, City Trailer is located on 45 acres at 10220 Reno Ave. Employing more than 90 workers, the company is led by Richard Walker, who serves as president, his wife Barbara, and their two sons Tyler and Cory. Tyler serves as general manager of parts and service and Cory is general manager of the paint and body division. Among its diverse offerings the company sells both new and used trucks and trailers for both heavy and light transportation. The line of new trailers includes drop-deck, bottom-dump, end-dump, flatbed, vacuum tanks, pneumatic and dry-bulk trailers by major manufacturers such as MAC, CPS, Maxey and others. The inventory also includes enclosed and open car-carrier trailers and livestock trailers. 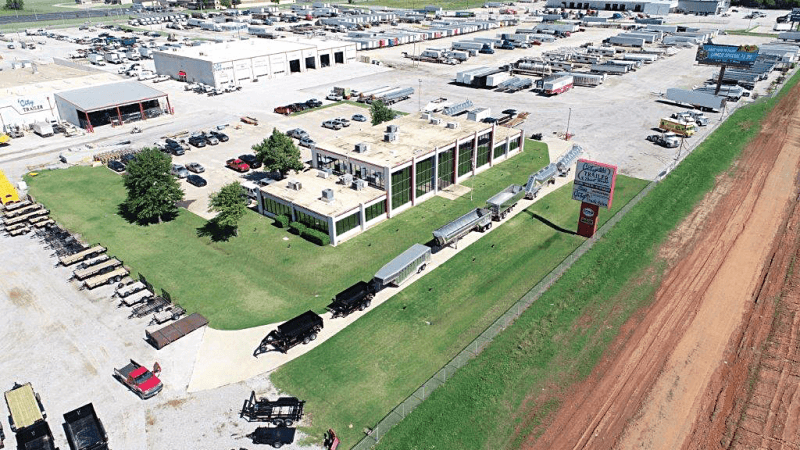 On the used equipment side, the company sells bottom and end-dump trailers as well as flatbed and utility trailers, hopper/grain trailers, lowboy, crude oil and non-code trailers. Manufacturers include Fruehauf, MAC, Atoka, Transcraft, Travis, Lufkin and Great Dane. Sales have increased this year, said Richard Walker, who began his career as a mechanic in 1976. “Sales are a lot better this year than last. We’re seeing a mixture of equipment selling, with construction equipment up the most, and crude oil lagging. Fuel tanks are doing quite well,’’ Walker said. 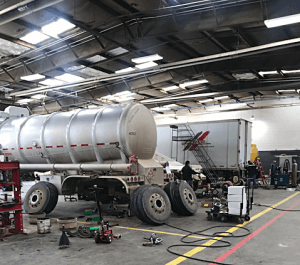 City Trailer and Paint Works is active in the fuel transportation sector, with Love’s Truck Stops being a leading client. Along with equipment sales, the company offers medium-duty truck and trailer repairs on all makes and models. Work includes light mechanical, air-conditioning, oil changes, and other general mechanical work. Although the company does not have a wash rack, it has an R Stamp and provides inspections on both medium-duty and semi-trucks. 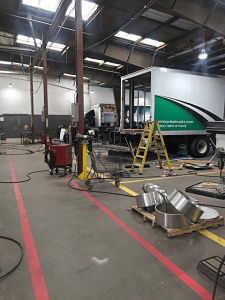 As its name implies, City Trailer and Paint Works is actually two entities – the trailer sales and service business, and a second division focusing on body work and painting. The company recently expanded its paint shop to 6,000 square feet and 42 bays. This side of the business primarily serves the wholesale trade and nondurable goods sectors. 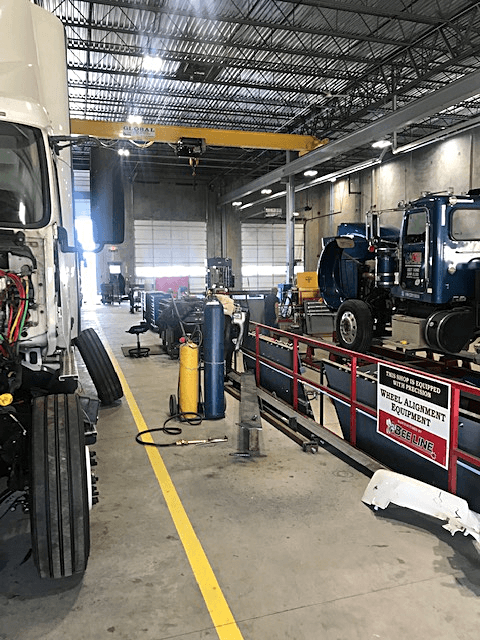 It offers truck collision repairs, painting and body work, frame straightening and repairs on refrigerated, flatbed, dry-van, end dumps and bell dumps. The sale of parts is a major source of revenue for City Trailer and Paint Works. Among the company’s fastest growing offerings is its innovative parking service, which is already being used by about 500 trucking operators. The company has devoted 45 acres to secure parking for both individual truck operators and major fleets. They are able to park daily, weekly or annually. Services provided to drivers while they are parked include WIFI, telephones, a television lounge and arcade. Also available are restrooms and showers for men and women, washers and dryers, vacuum cleaners, vending machines and ice makers, and separate driver automobile parking. The parking pads are inside gates that are manned 24 hours a day and under the watchful eye of security cameras. Along with the parking program, Walker plans to increase revenues the most in future years through the company’s collision repair services. “I think that is where we will see the biggest growth,’’ he said. 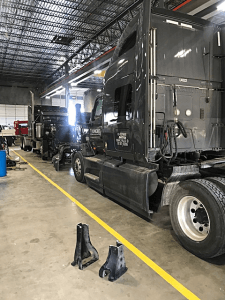 The reason, he said, is the investment the company made in advanced technology that allows it to repair bent and misaligned frames and other truck body components. In January the company added an additional building with 20 bays devoted to frame work. Among the equipment available to technicians are overhead cranes. Rounding out the company’s continuum of services and components is a business focusing on semi-agriculture and oil-field tarps and trailer tarping systems. These products are offered through the company’s OKC Tarp and Supply. If there is a major problem for his company, it is finding qualified mechanics, Walker said. In fact, most employees of City Trailer and Paint Works have been with the company a long time, Walker said. For more information on City Trailer and Paint Works contact Richard Walker at 405-947-4885 or richard@citytrailerinc.com. www.citytrailerinc.com.